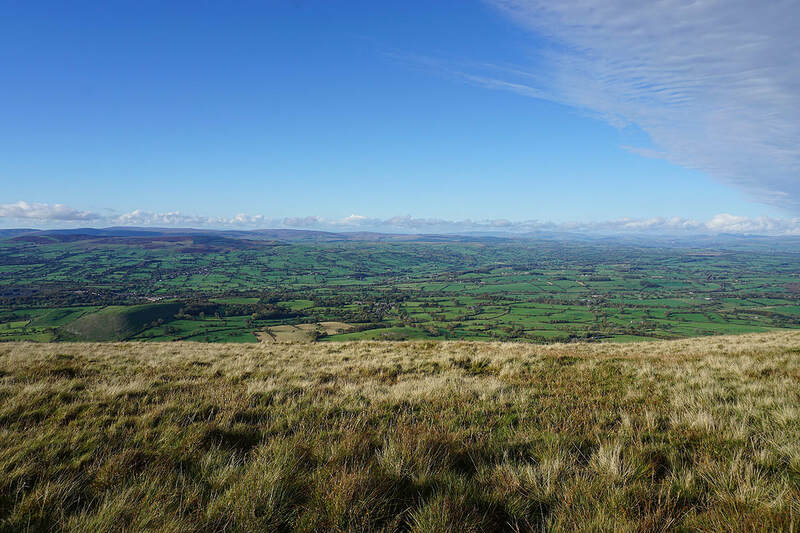 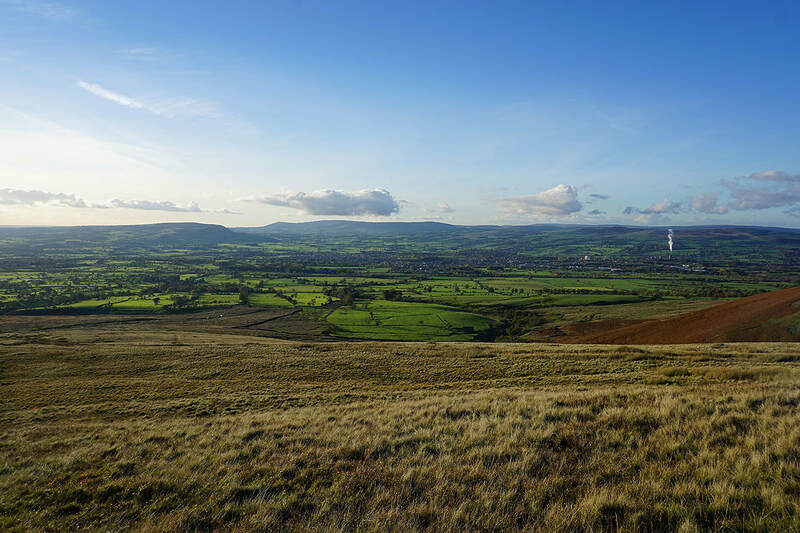 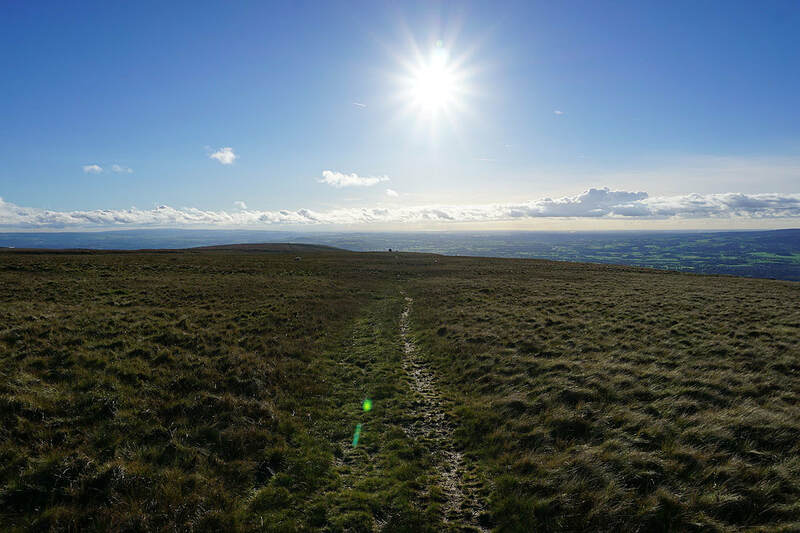 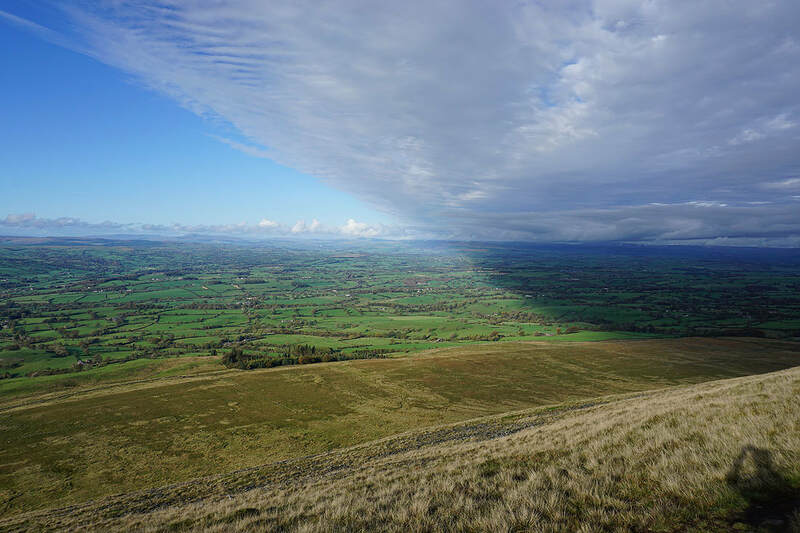 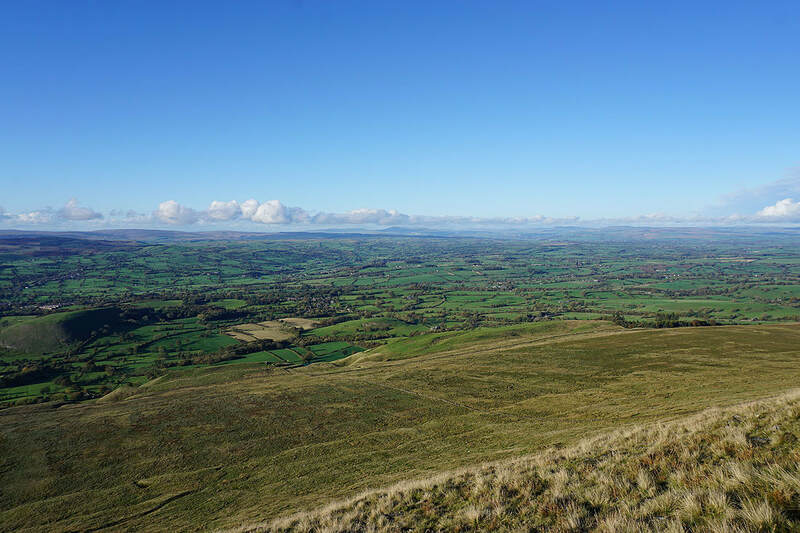 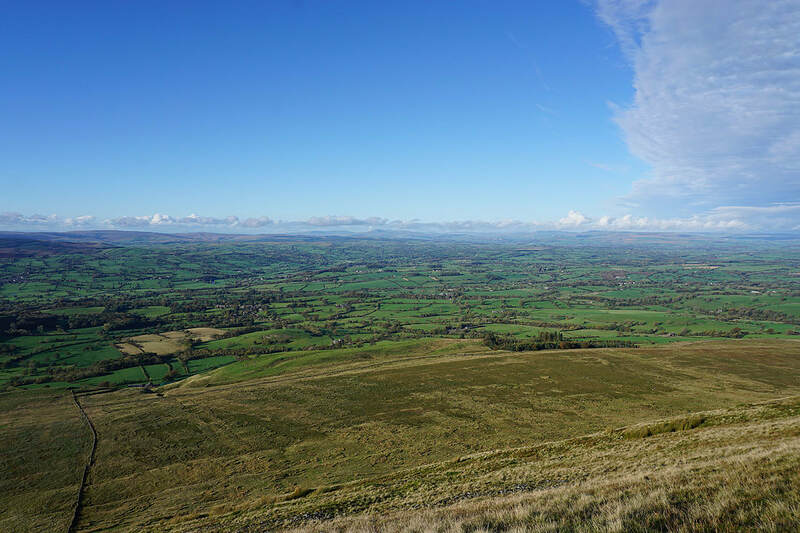 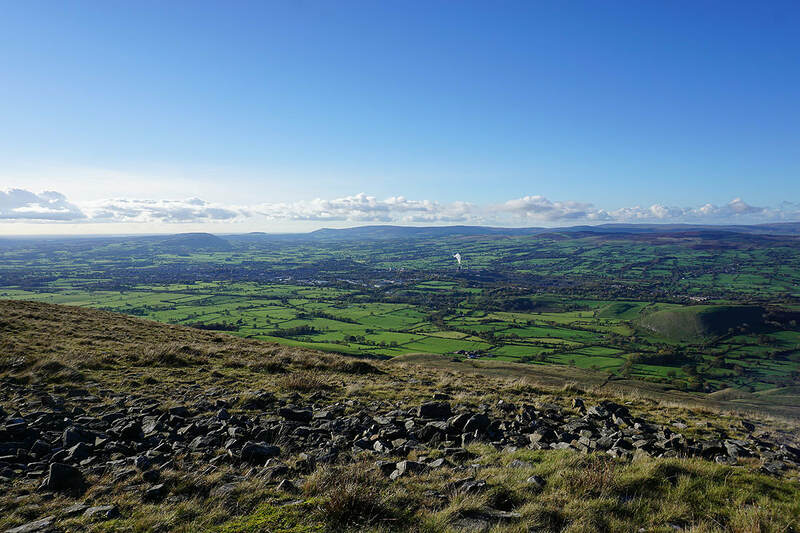 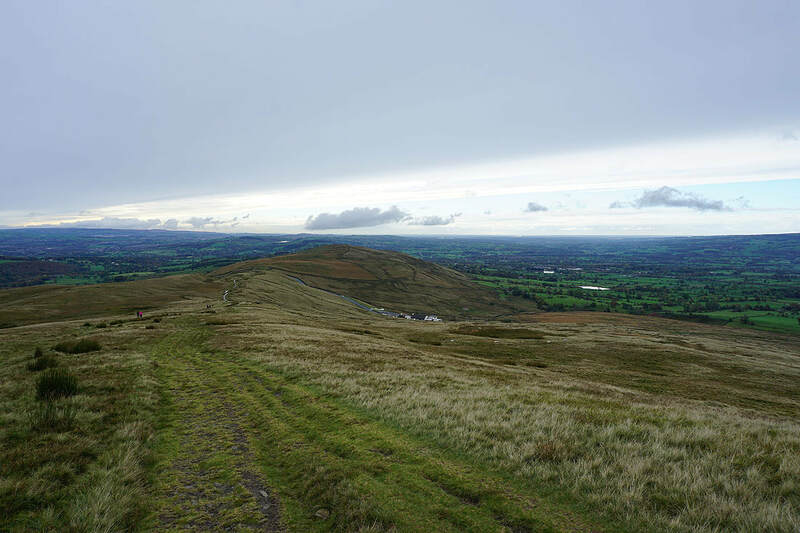 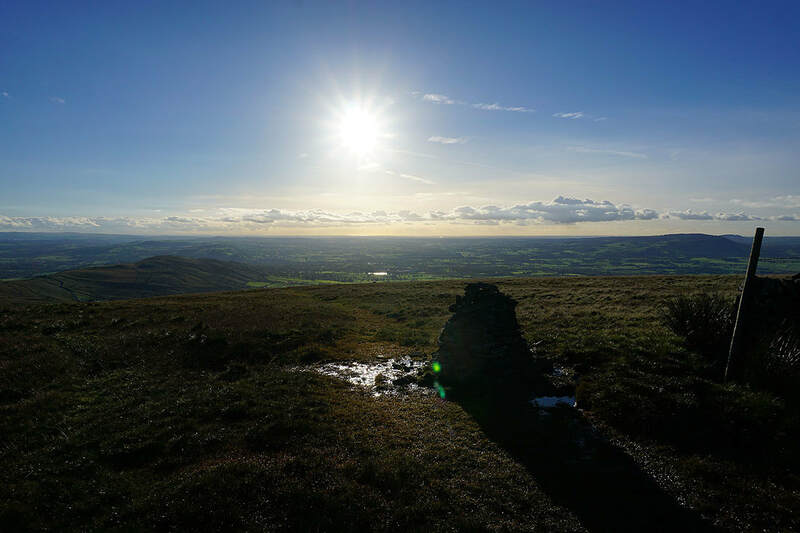 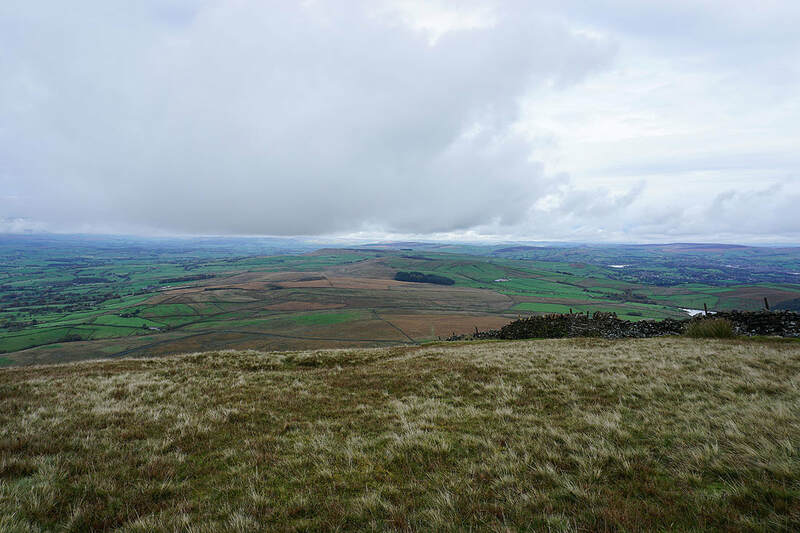 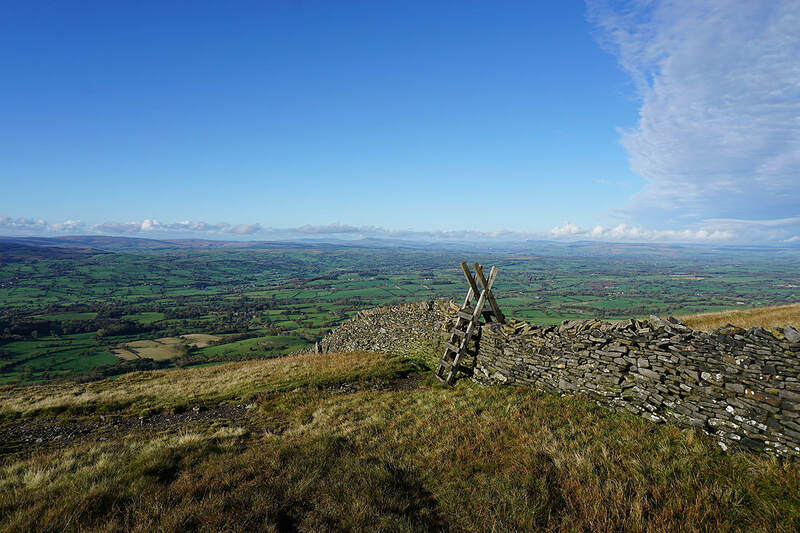 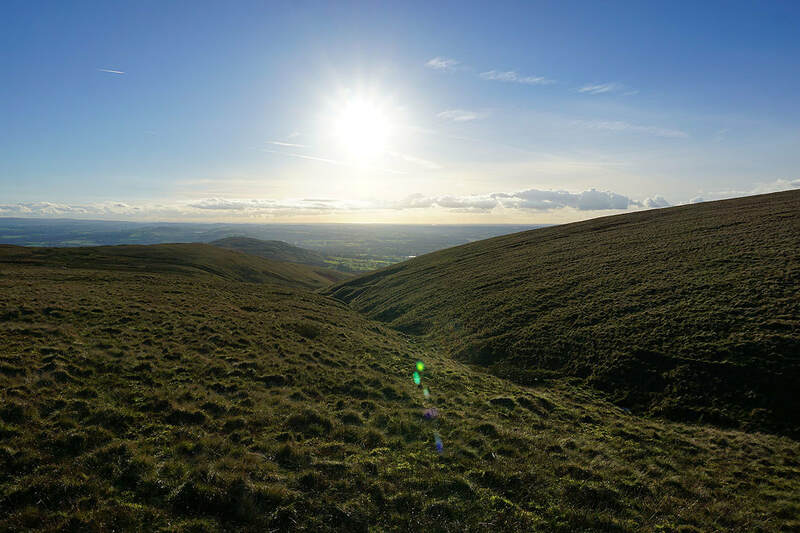 I nearly had a weekend without going for a walk somewhere until Pendle Hill saved the day and that's not the first time that that's happened this year. 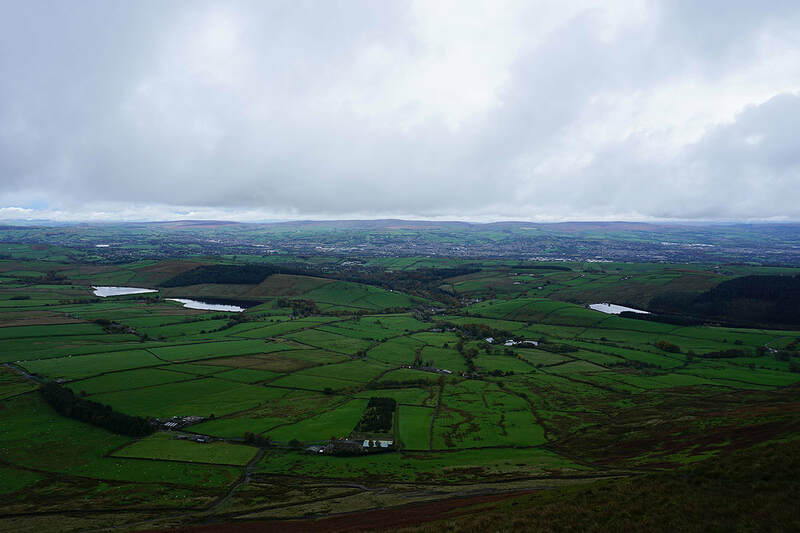 It was 2 o'clock in the afternoon before I set off from the Nick of Pendle though. 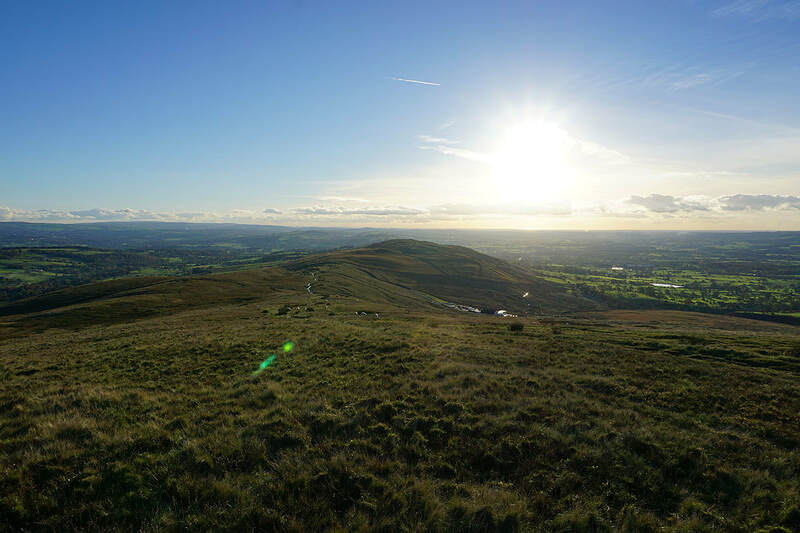 Yesterday's and overnight's rain was really taking its time to clear so it was a case of timing it right so that I could make the most of the remaining daylight hours, and I did just that. 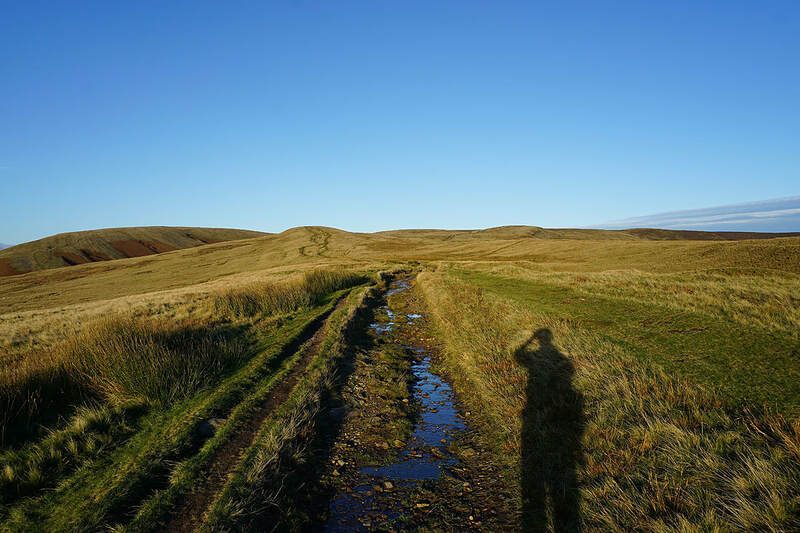 It took until I was about half way through the walk for the skies to clear but once they did the second half of the afternoon was glorious with more or less wall-to-wall blue skies and sunshine. 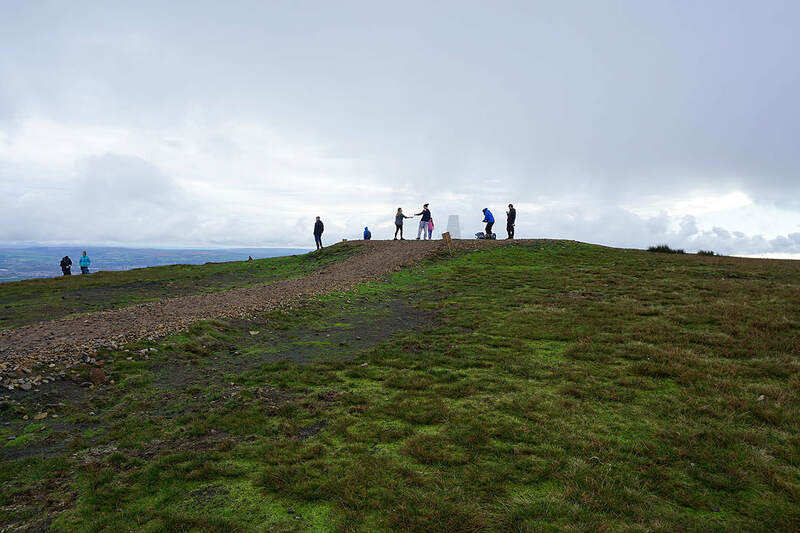 Definitely worth the wait. 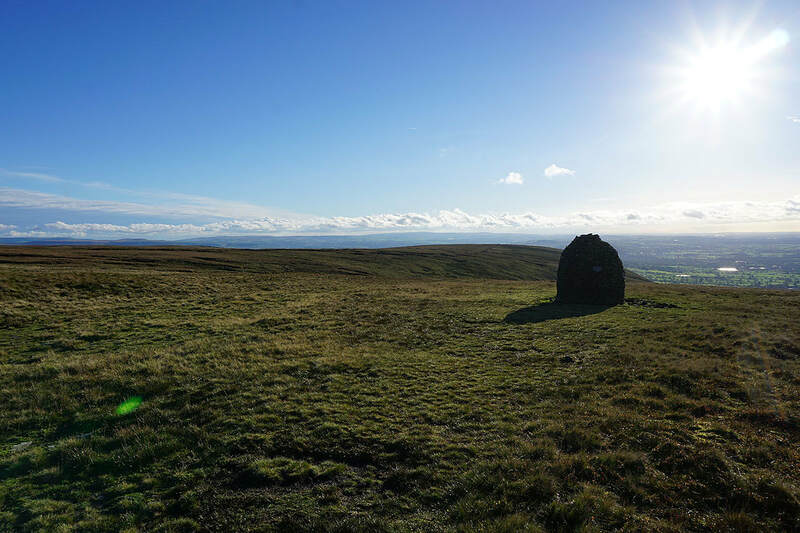 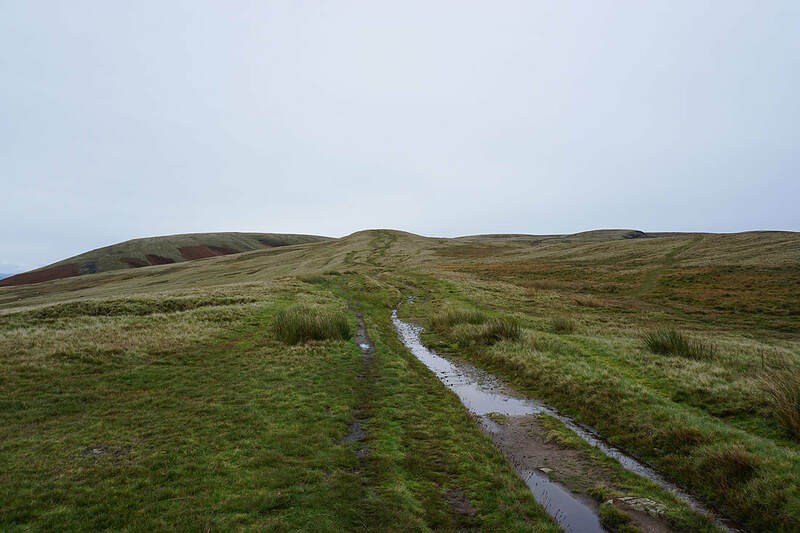 ​From my starting point at one of the laybys on the road across the Nick of Pendle I made my way up onto Pendleton Moor. 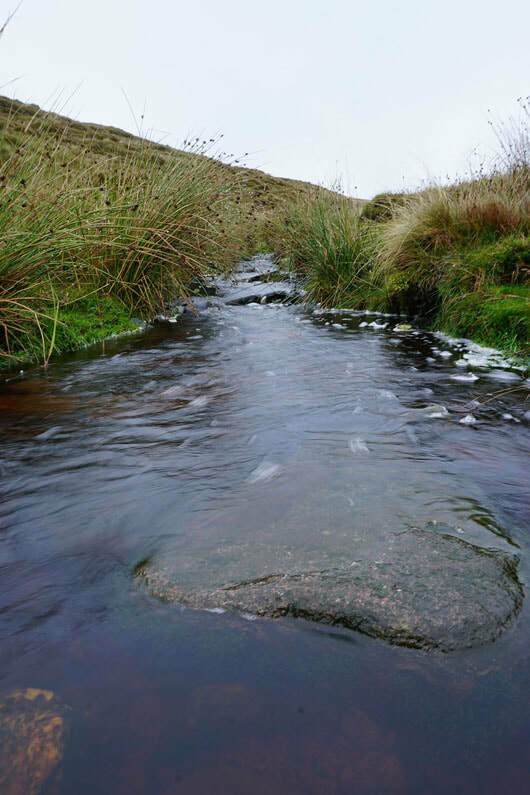 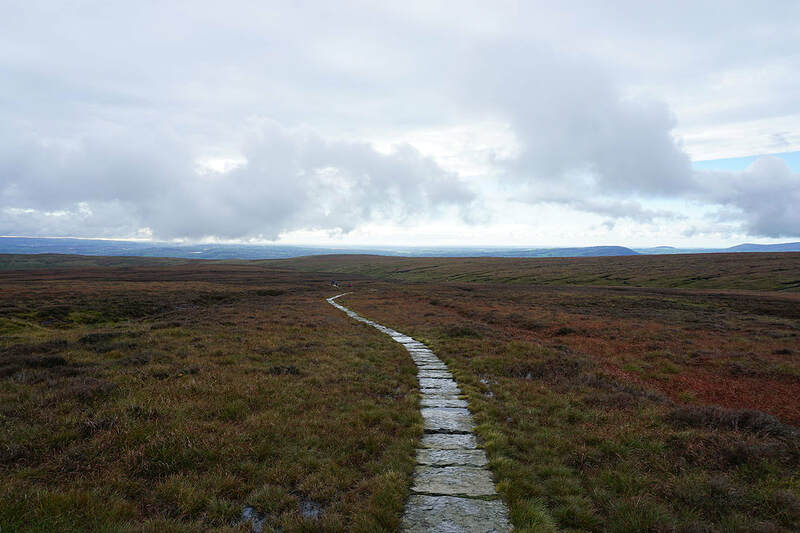 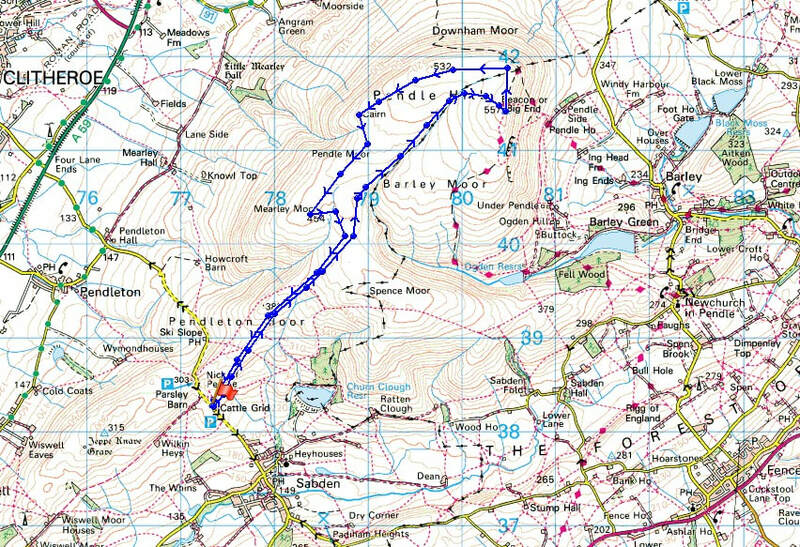 I kept on the path as it made its way into Ogden Clough and followed it all the way up to the trig point and summit. 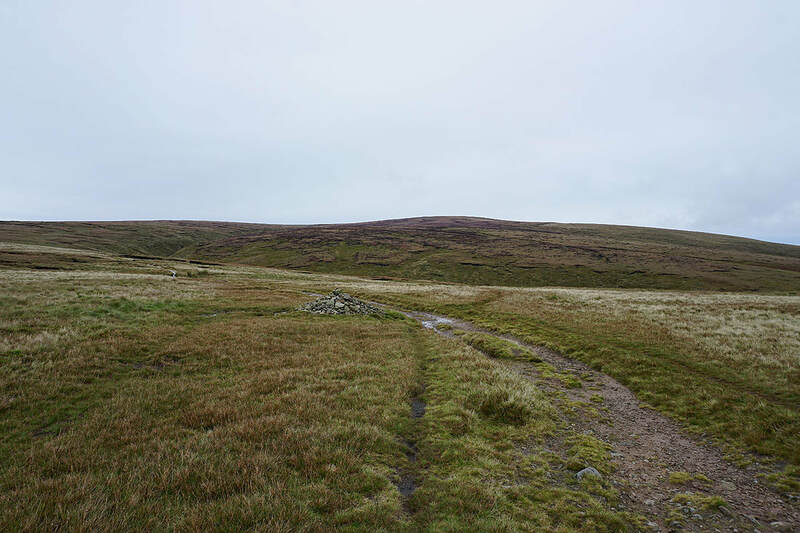 I then crossed the stile onto Downham Moor, followed the path west, and crossed the stile onto Worston Moor to reach the Scout Cairn. 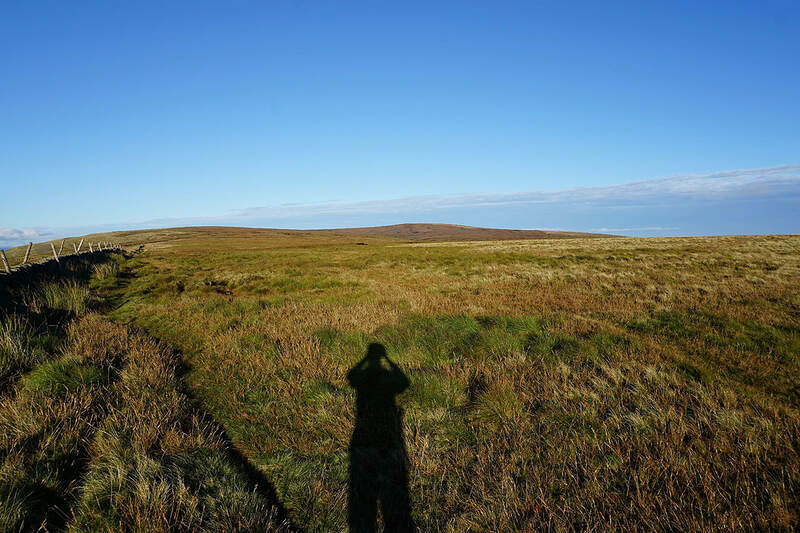 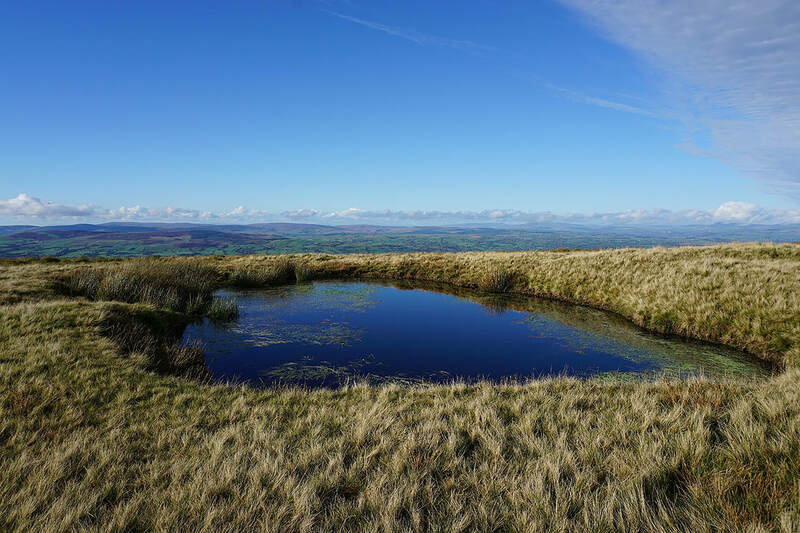 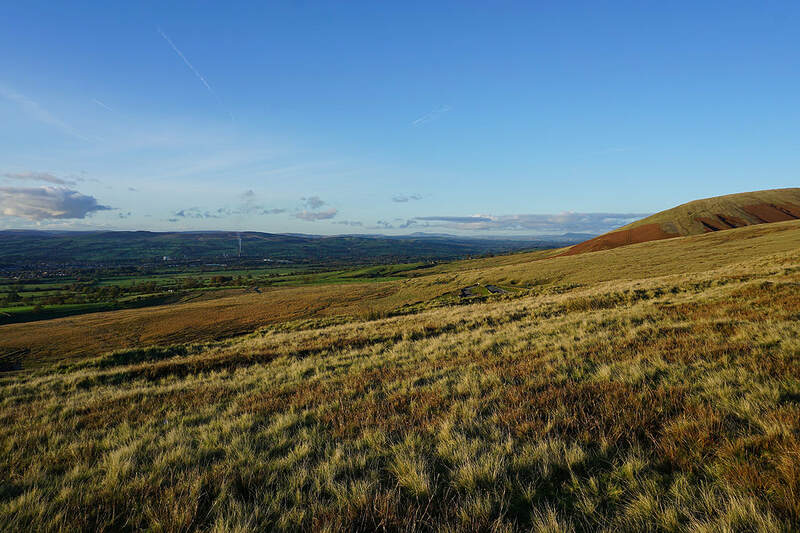 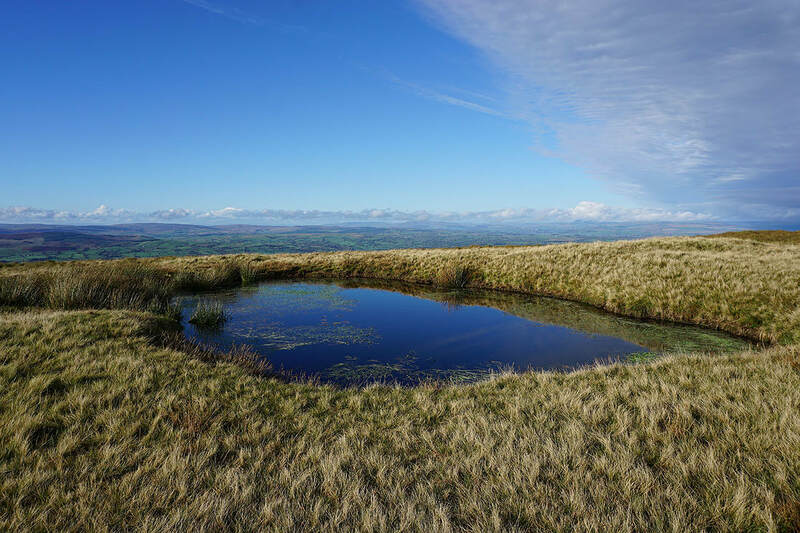 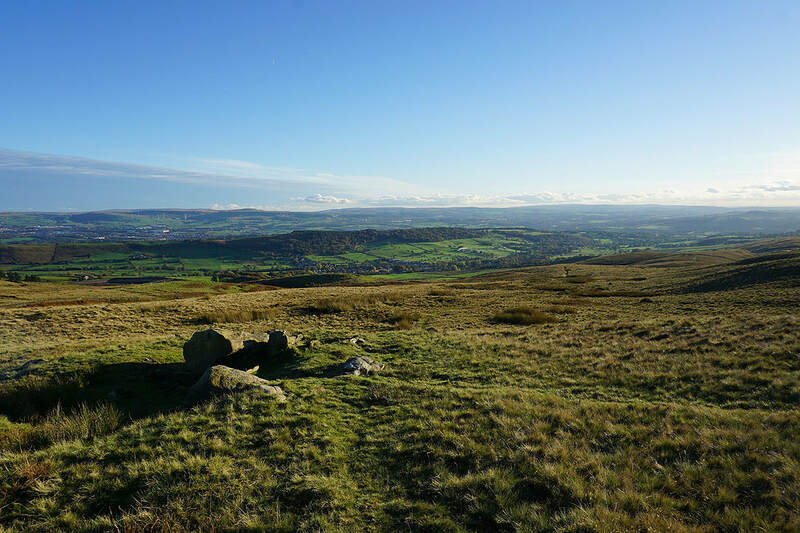 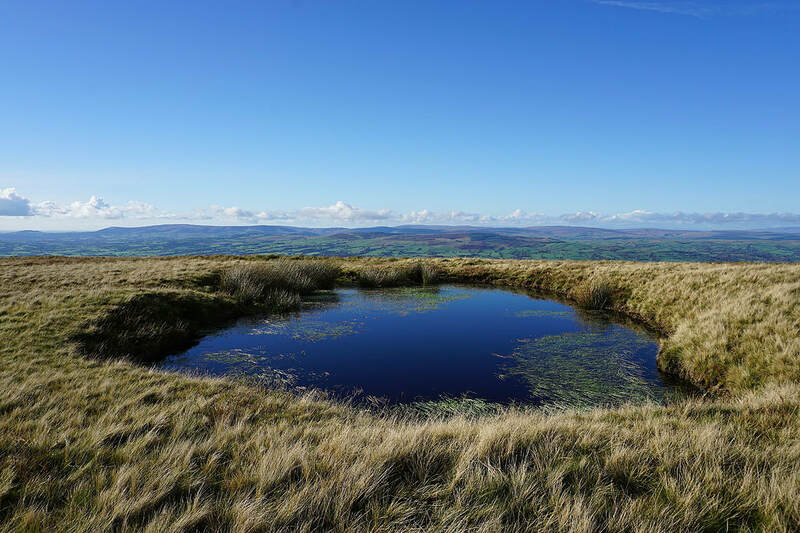 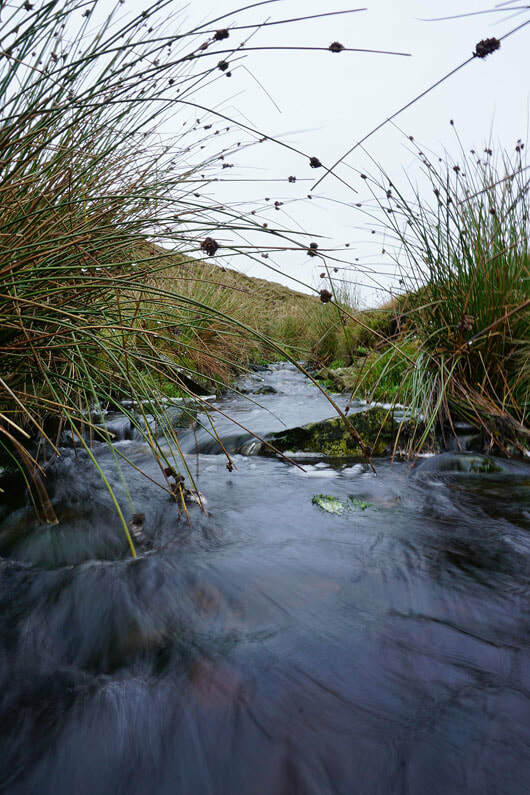 I then walked across Mearley Moor before crossing the top of Howcroft Brook to pick up the path across Pendleton Moor back to the Nick of Pendle. 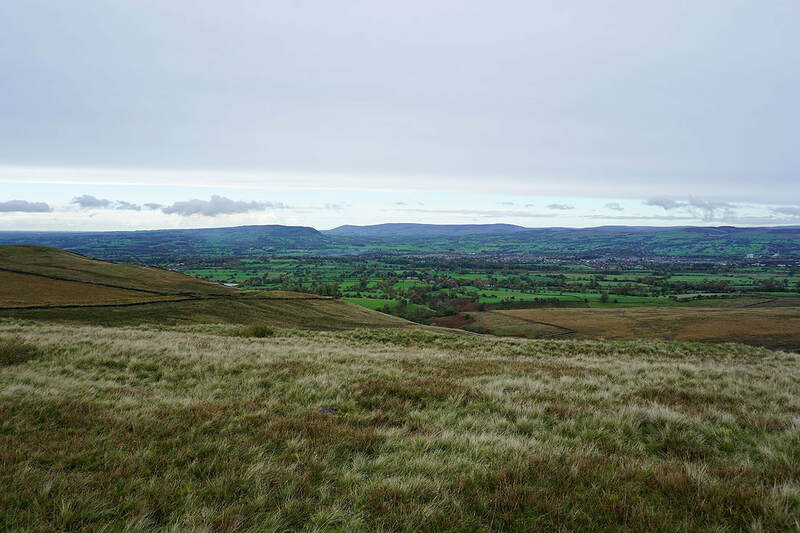 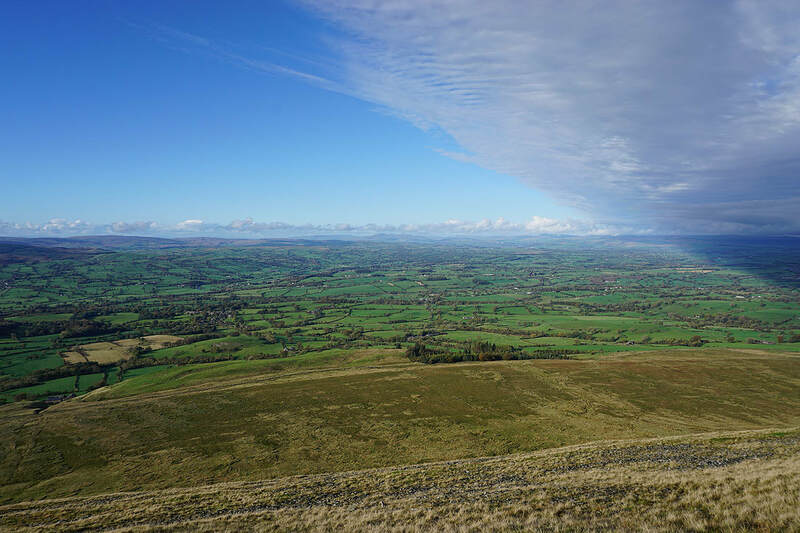 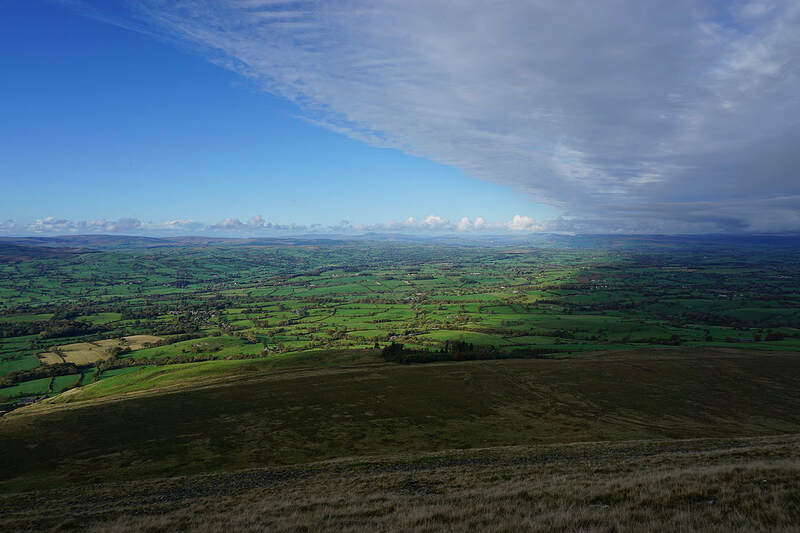 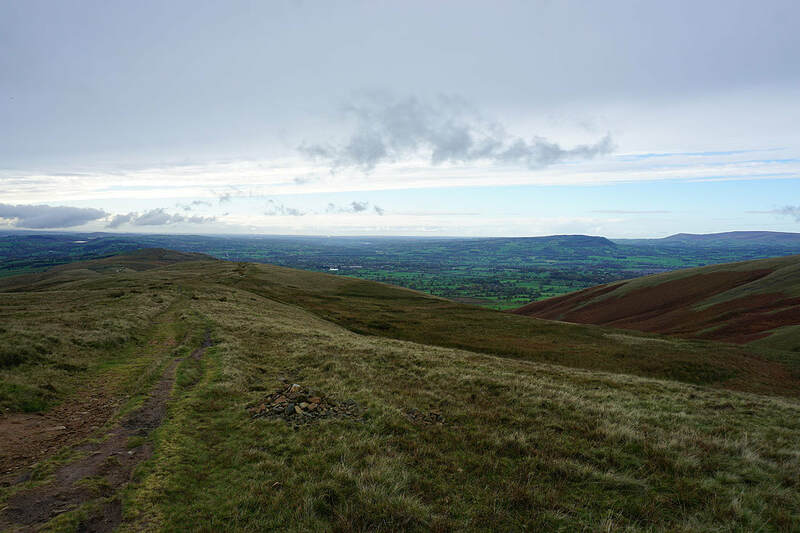 Brighter skies are moving in from the coast as I look back to the Nick of Pendle and across the Ribble Valley.. 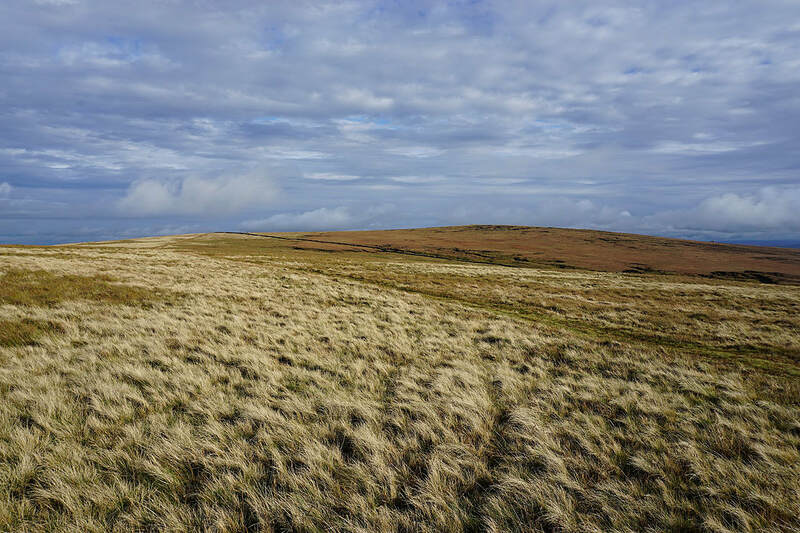 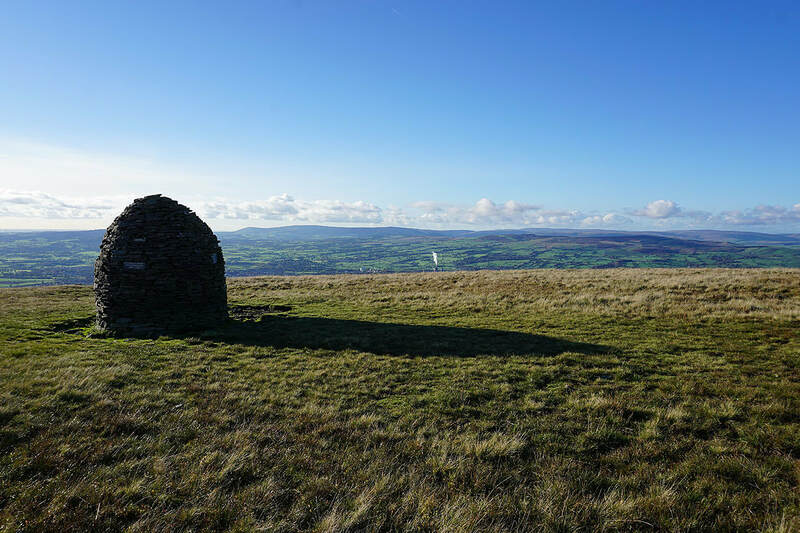 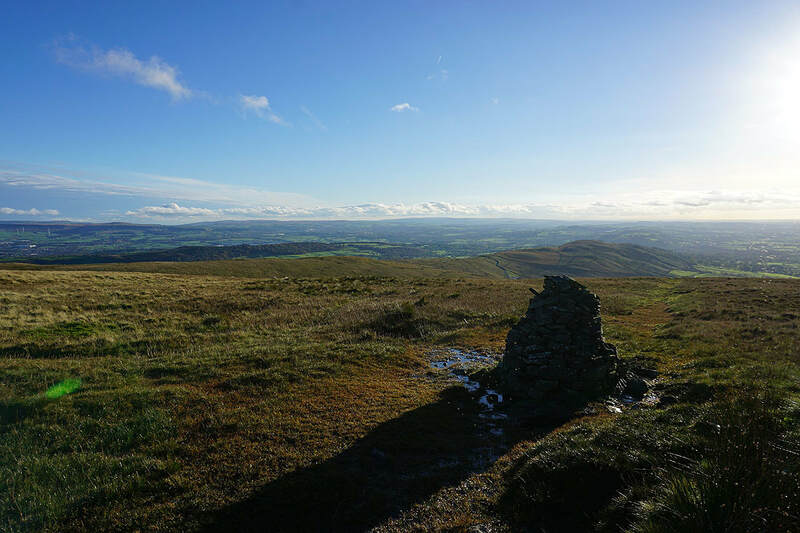 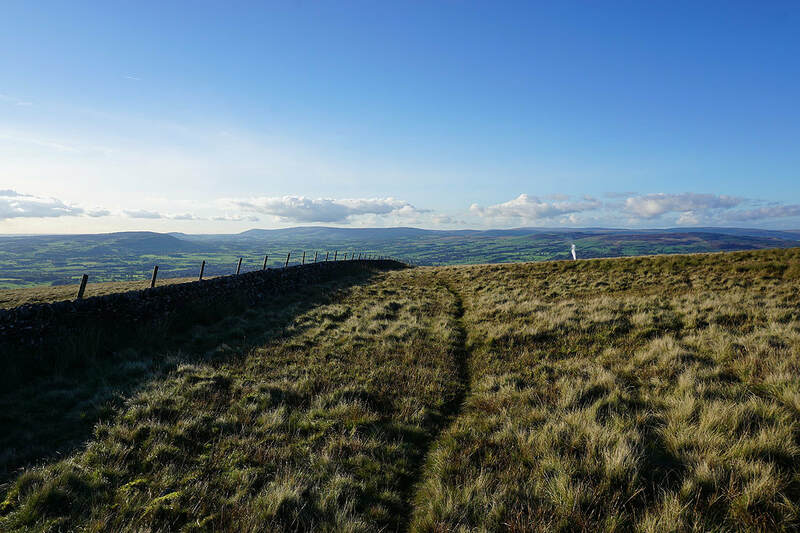 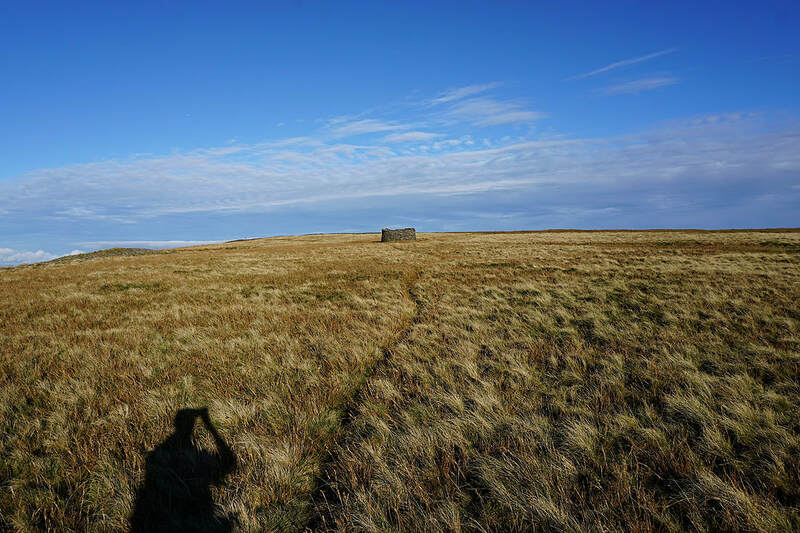 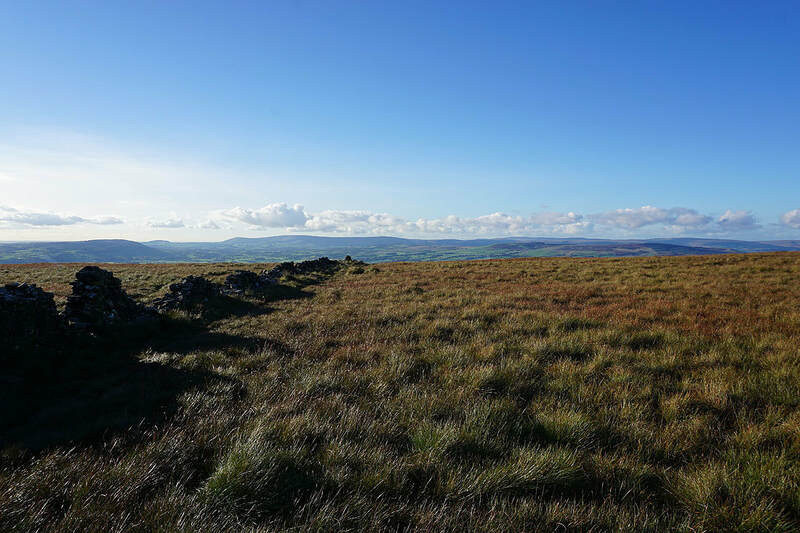 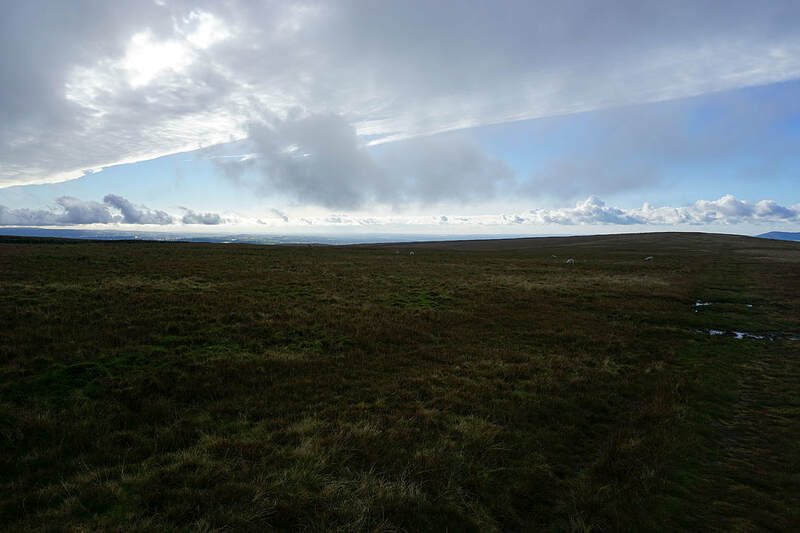 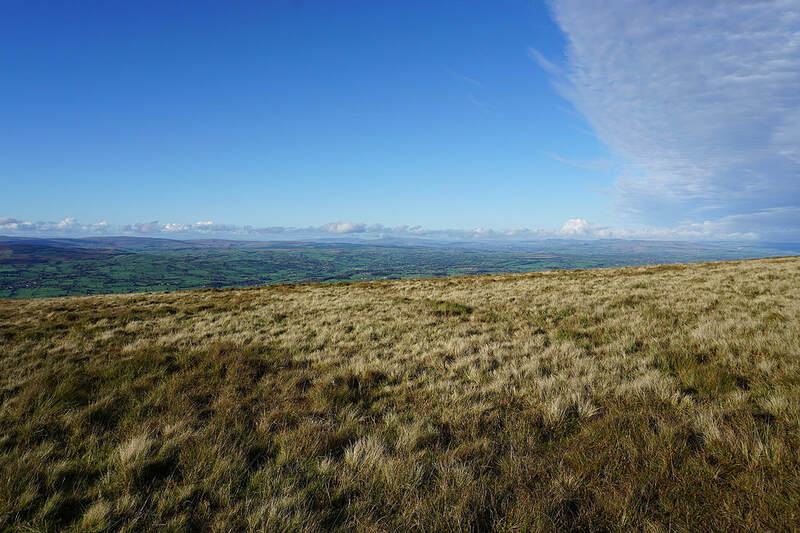 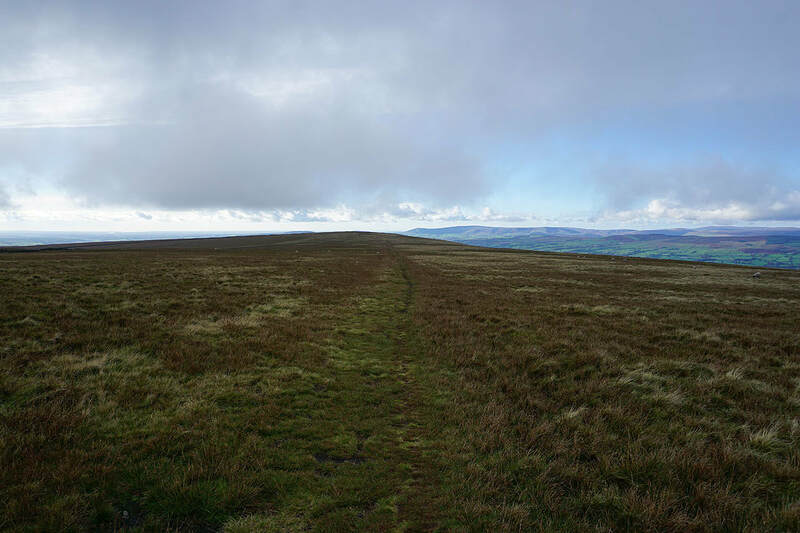 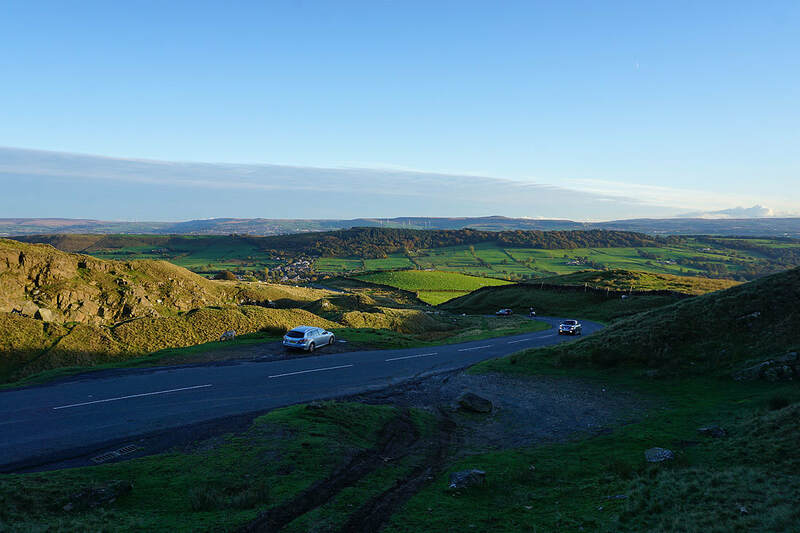 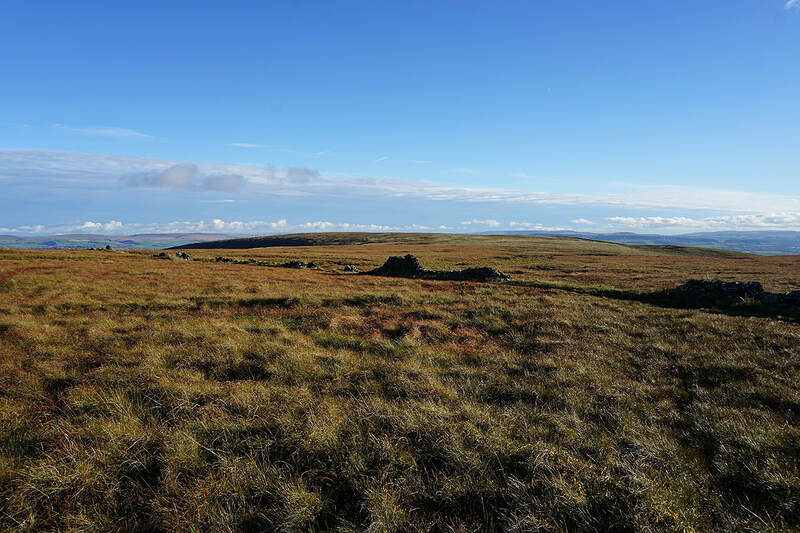 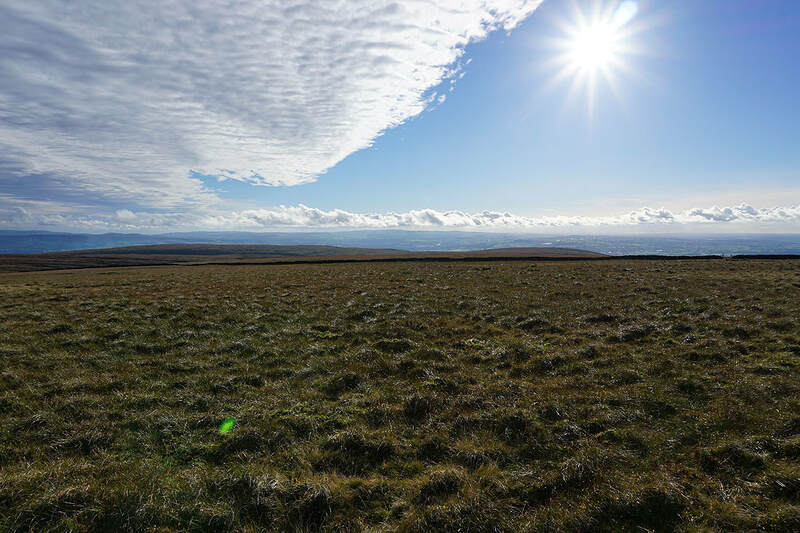 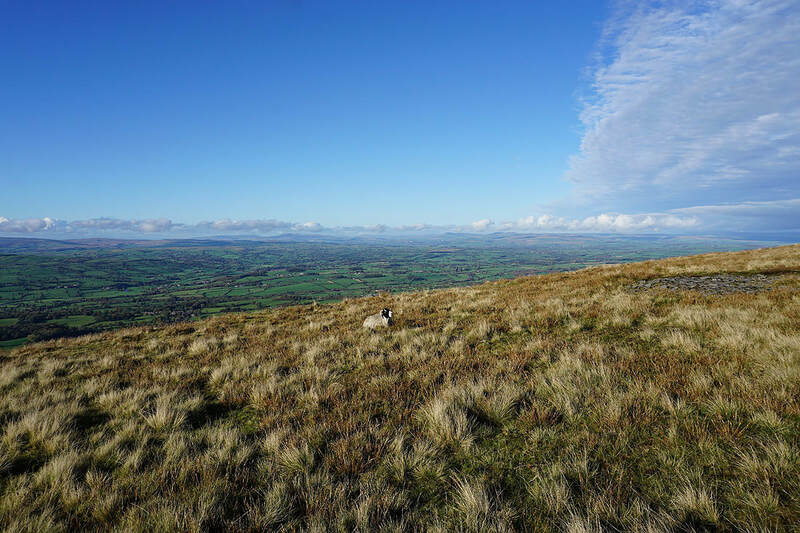 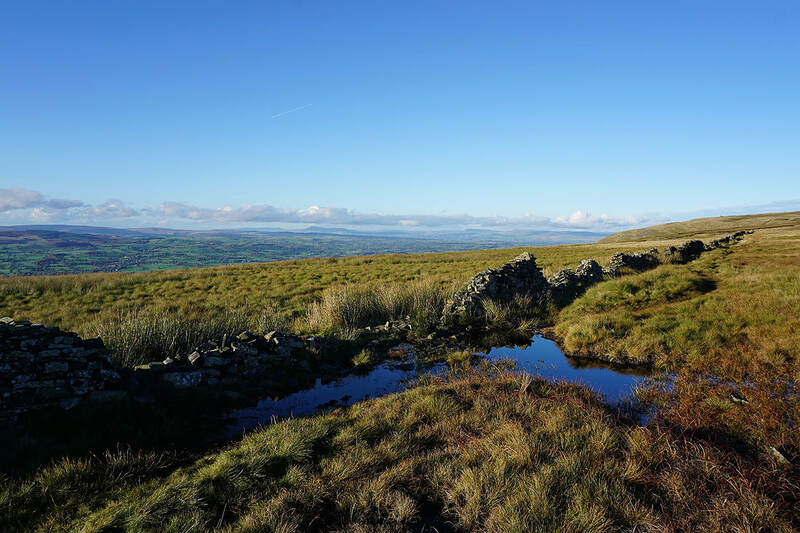 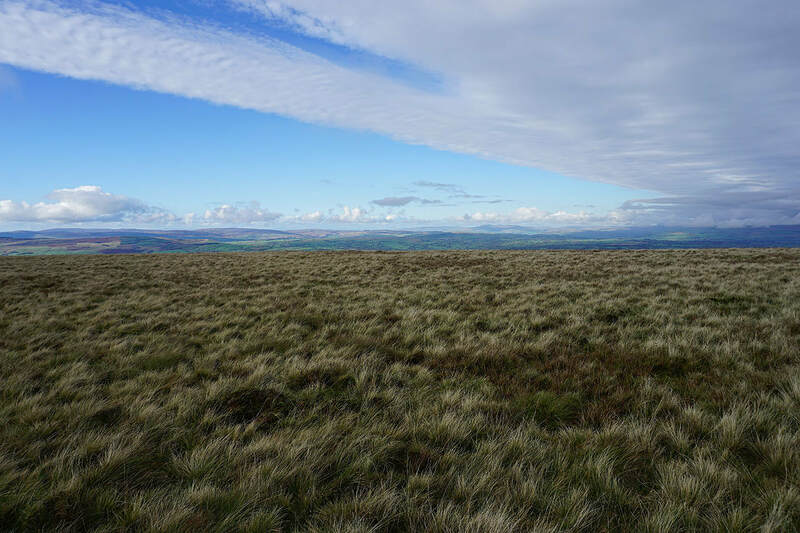 The sunny skies are almost here as I head across Downham Moor..
Longridge Fell, Parlick, Fair Snape Fell, Totridge, Ward's Stone, Wolfhole Crag and White Hill in the Forest of Bowland. 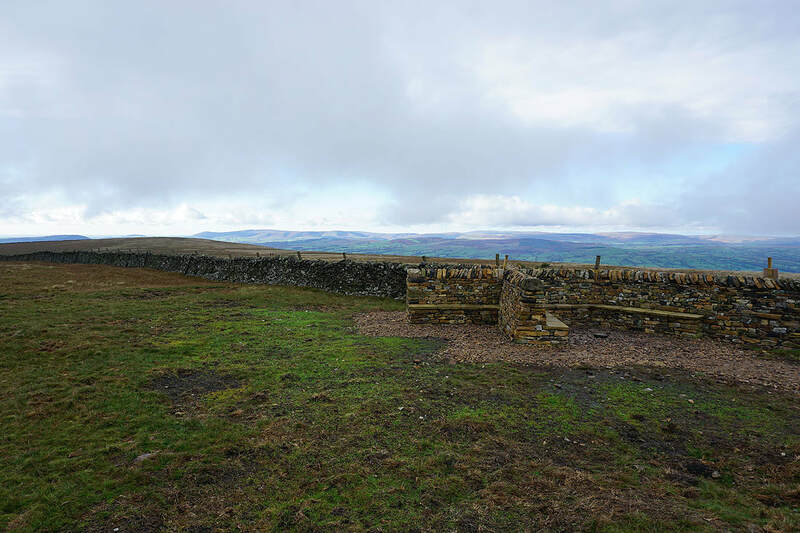 The ruined wall makes a good foreground.